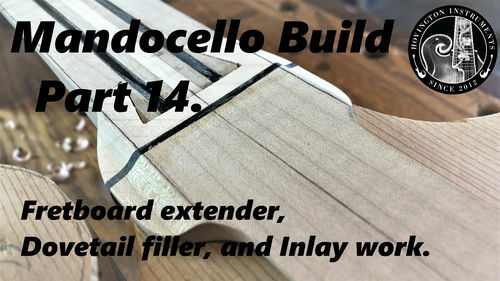 The transition between the neck dovetail, neck block, and binding needs to be extremely precise since the fretboard will be glued to this transition. The Same reasoning applies for the fretboard extender which from the glue up location just rest in mid air and needs to line up perfectly for the fretboard. I’m also taking the time to adjust some visual transitions around the neck block with files and sand paper.